Hard at work on the 95% of your development effort. After a productive 5% of your effort has gone into developing a good idea and turning it into a solid value proposition, attention is now focused on getting the technology right. You have well understood the message of the effort required to move a technology from TRL level 6 to 9. And you think that you can sidestep the effort issue by involving a future supplier. Co-development is the ‘in’ thing to do, so why not your company and its future supplier? Excellent plan, but be very, very, very sure that your future supplier has the technology that the new product will ultimately need. A co-developing supplier rightly expects to be your supplier of choice when the product comes onto the market. And the supplier will, if having a reasonably sound business mind, focus on technologies that they have available in their company. If among those technologies the one your new product really needs is not available, the co-development relationship will be a very unhappy one. 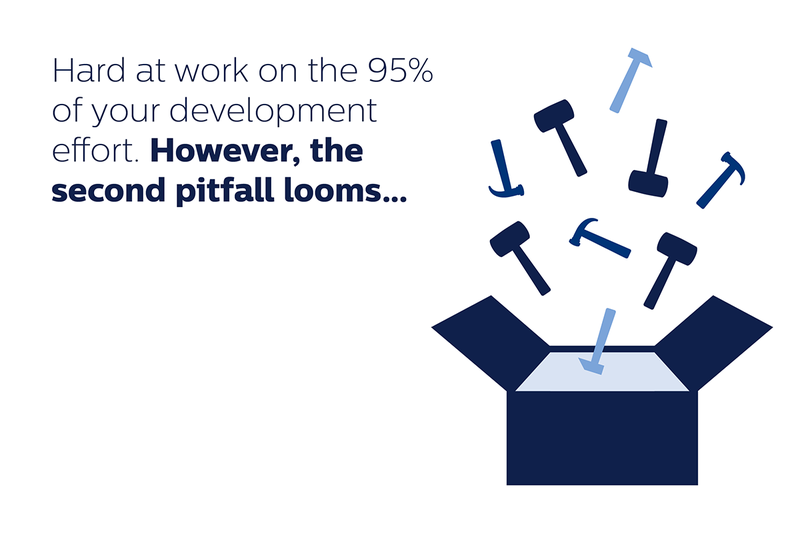 Limiting the development effort to 95% seems feasible! Oh dear, the third pitfall opens up!